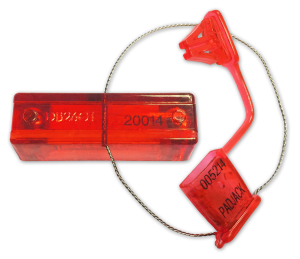 When serial ports are not being used, block access efficiently with the PadJack DB26 Port Lock. Just attach with screws (included) and slide the top in. Then fasten with a Wire Loop Seal. All parts are laser etched with serial numbers. This product may also be used for DVI ports.